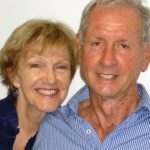 Megan and Rod Middleton have been involved in life searching teachings, including all aspects of which are incorporated in the teachings of the late Dr George King, a Western Master of Yoga. These teachings bring about a heightened level of Psychic awareness and our workshop on “Dowsing for Answers” also triggers both intuition & psychic development. To help develop one’s dowsing technique, it can be beneficial to follow practises of Yoga breathing & the chanting of mantra. When skills have been developed, dowsing can be used in revealing answers to unanswered questions, finding lost objects and exploring what foods can be helpful – along with many other possibilities. Both Rod and Megan have some amazing Dowsing success stories to share in this workshop. Rod and Megan also present Are You Stuck in A Rut? You can search their presentations on this website.